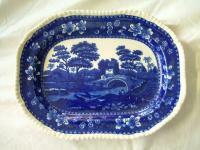 A deep blue and white octagonal transfer print by Copeland small platter with a regd no 20067. Clean markings on the reverse of the piece. Made in Licht by Heubach. 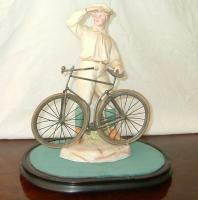 A fine bisque figure of a boy with a bike. C1880. This item is in pristine condition.